Again, yikes. Another month has slipped by with little to no posting. Let’s see if I can hit the highlights on August…. 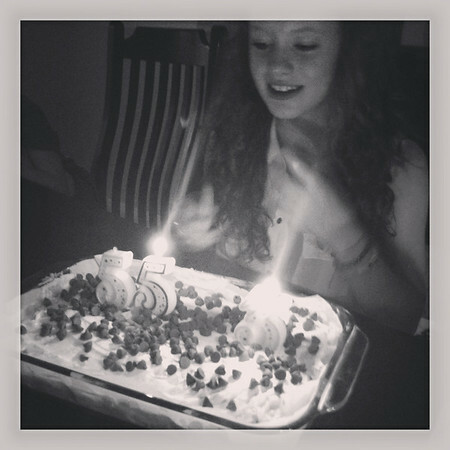 We celebrated the beginning of a new era in our home – the teenage years. Grace turned 13 earlier this month (a longer post on that in the near future). She and Chandler (turned 10 in June) both had birthday parties this month also. It was fun to have their friends over to hang out and celebrate. It’s also nice to be at a stage where sleepovers / parties are actually fun, and not just a ton of work for mom. ^ Chandler’s birthday sleepover. 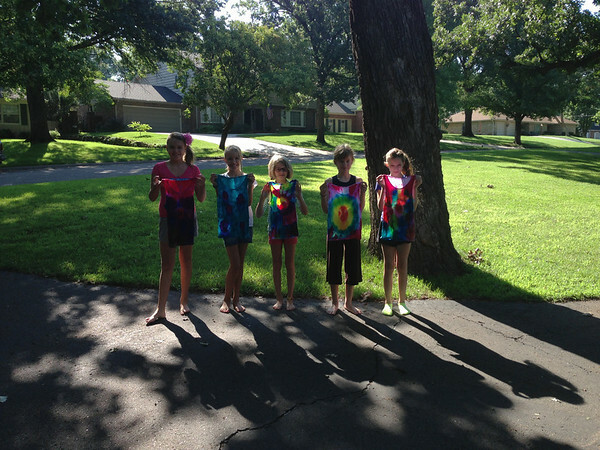 She and her friends had a lot of fun tie-dying shirts. 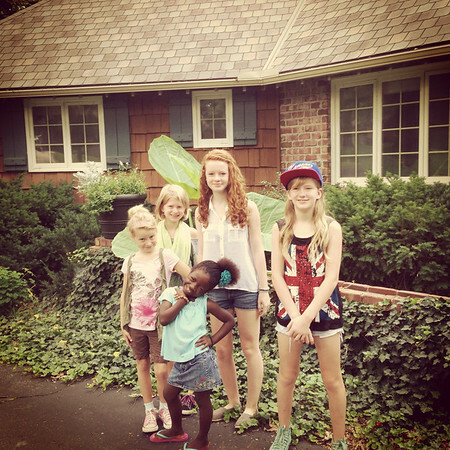 ^ Grace’s birthday. Our “1” candle was in a pretty sad state, so we came up with a different way to count to 13. Grace, Emma, and Chandler are using Sonlight for Bible, history, and literature. Grace, Emma, Chandler, and Ellie are all using Teaching Textbooks for math. We loooove Teaching Textbooks! Grace is taking science (Apologia Physical science), writing (IEW), another literature class, art, and worldview (Apologia Who Is God) outside the home. Emma and Chandler are taking science (Apologia Astronomy, writing (IEW), another literature class, and art outside the home. They are also supplementing their language arts with Daily Grams for their grade level. Ellie is using A Beka streaming for most of her subjects, along with Sonlight history and reading. Since we are using Teaching Textbooks and I prefer it over the A Beka math, we fast forward through that portion of each day. Shhh! Don’t tell! She is taking science (Apologia Astronomy), art, and “histography” (history and geography in one) outside the home. Last year when we finally decided to take the plunge and try A Beka streaming, I nearly choked on the price tag. But pulling me out of the teaching position and allowing me to do what I do well (administrate and facilitate and keep up on laundry) has brought us all so much more happiness in our schooling. It’s not something I want to do forever, but it is a definite sanity-saver in these early years when the teaching is so critical and can be so time consuming. 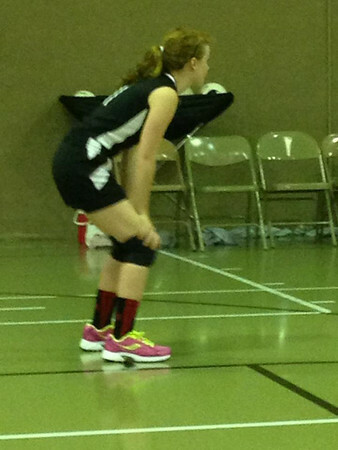 August also brought the beginning of volleyball for Grace and soccer for Amania. Sports involvement is new for our family of ballerinas, pianists, artists, and the occasional gymnast. 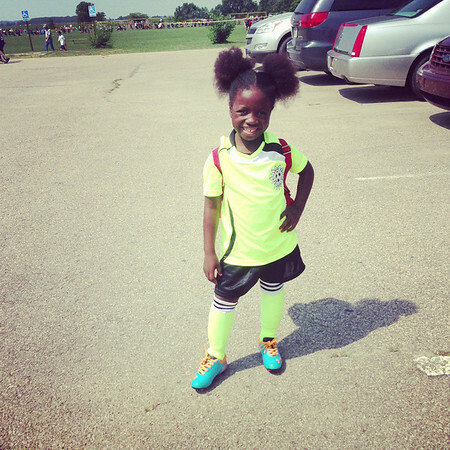 Amania’s first soccer game was last week and Grace’s first game was this week. It should be a fun (and busy) fall! I think that pretty well sums up the past month. I have a lot of words rolling around in my head. I miss writing and photography, but this just has not been the season for either. I’m fairly convinced that when we look back on photo albums in ten years 2012 and 2013 will be “the lost years” for family photo memories. I’m hopeful that September will provide more opportunity to collect words and photos and share them here as life continues to settle into our “new normal”. Until then, have a blessed week, friends!